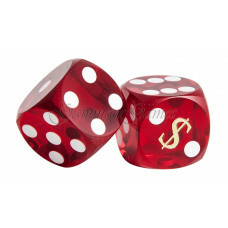 Treat your dice with respect if you want that they respect you! Backgammon Player jewels! The most important of all in a backgammon set. Each of the 21 pips are drilled to identical depths, and to ensure that all 6 sides maintain equal weight, the holes are then filled with a special white epoxy with the precise weight and density of the material that was removed during the drilling process. 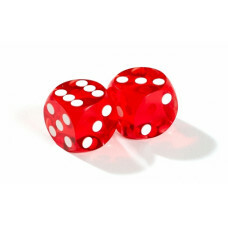 Every die is measured and weighed with the greatest possible care to ensure that all rolls are random. 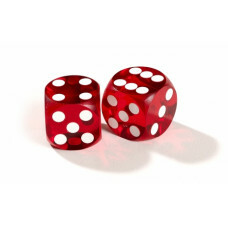 They are made by Gamblers General Store USA, the official supplier to Las Vegas and Monte Carlo. 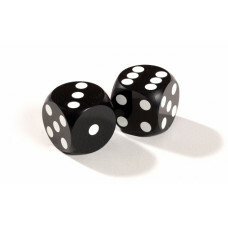 It is possible to test the accuracy of precision dice by getting a die to stand on the corner edge on a flat surface. (You should not be shaky). 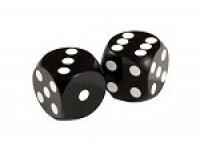 Backgammon Precision Dice, AN 12701 / Hexahedron made of acrylic in solid black with small dots in white. 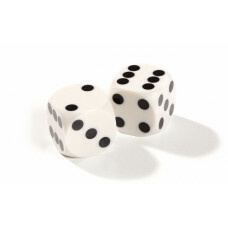 Precision balanced dice with rounded edges and corner..
Backgammon Precision Dice, AN 12702 / Hexahedron made of acrylic in solid white with small dots in black. 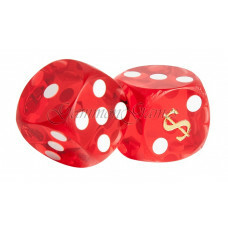 Precision balanced dice with rounded edges and corner..
Backgammon Precision Dice, AN 12703 / Hexahedron made of transparent acrylic in red with small dots in white. 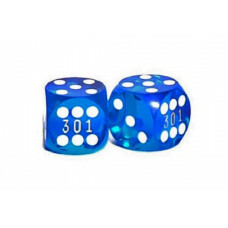 Precision balanced dice with rounded edges and co..
Backgammon Precision Dice, AN 12704 / Hexahedron made of transparent acrylic in blue with small dots in white. Precision balanced dice with rounded edges and c..
Backgammon Precision Dice, AN 12705 / Hexahedron made of transparent acrylic in orange with small dots in white. 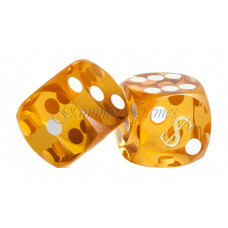 Precision balanced dice with rounded edges and..
Backgammon Precision Dice, AN 12706 / Hexahedron made of transparent acrylic in amber with small dots in white. 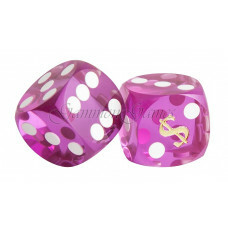 Precision balanced dice with rounded edges and ..
Backgammon Precision Dice, AN 12707 / Hexahedron made of transparent acrylic in purple with small dots in white. 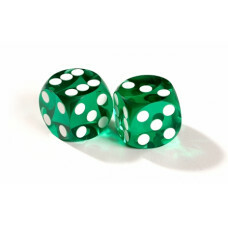 Precision balanced dice with rounded edges and.. 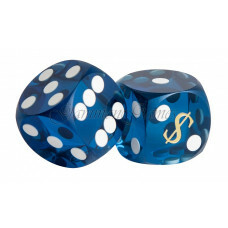 Precision Dice, AN 1270 / Hexahedron transparent acrylic in blue with small dots in white. Precision balanced with rounded corners gives you a perfect throw an.. 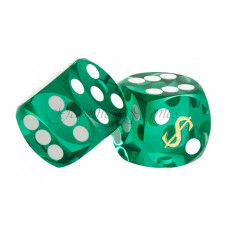 Precision Dice, AN 1270 / Hexahedron transparent acrylic in green with small dots in white. Precision balanced with rounded corners gives you a perfect throw a.. Precision Dice, AN 14206 / Hexahedron transparent acrylic in amber with small dots in white. Precision balanced with rounded corners gives you a perfect throw .. 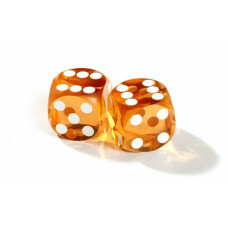 Precision Dice, AN 14205 / Hexahedron transparent acrylic in orange with small dots in white. Precision balanced with rounded corners gives you a perfect throw.. 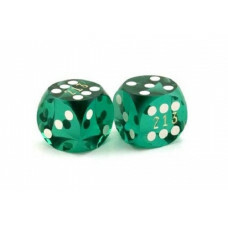 Precision Dice, AN 14208 / Hexahedron transparent acrylic in green with small dots in white. Precision balanced with rounded corners gives you a perfect throw .. 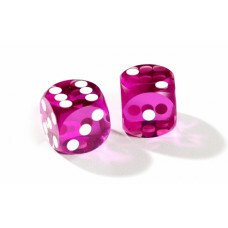 Precision Dice, AN 14207 / Hexahedron transparent acrylic in purple with small dots in white. Precision balanced with rounded corners gives you a perfect throw.. 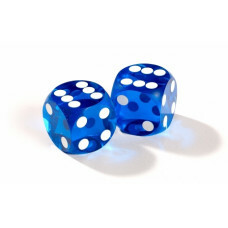 Precision Dice, AN 14204 / Hexahedron transparent acrylic in blue with small dots in white. Precision balanced with rounded corners gives you a perfect throw a..